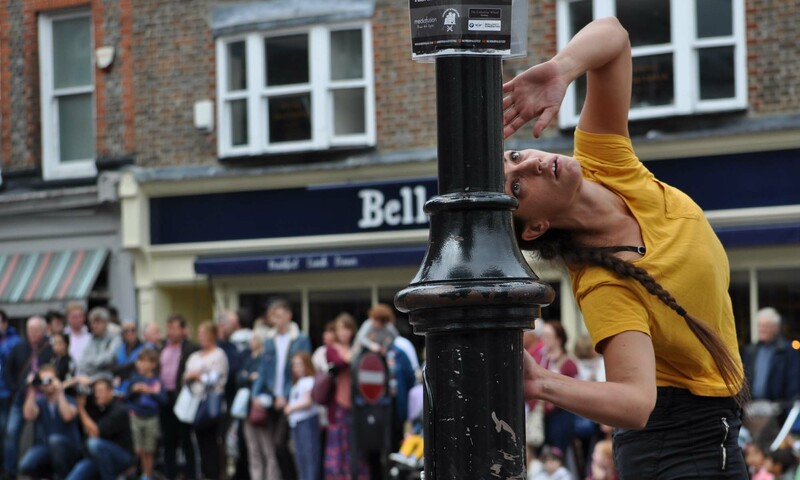 Invited by the 101 Outdoor Arts Creation Space and Corn Exchange Newbury, SHAPERS was performed in the UK in Newbury, at the central market place on August 27th. 101 Outdoor Arts creation space is a space dedicated to large-scale outdoor artistic projects, run by Corn Exchange Newbury in addition to their main theater and cinema. Dancers: Lucia Bocanegra, Mourad Koula, Natacha Kierbel, Shady Abdelahman, Elvira Balboa, Aurore Allo, Ahmed Shamel, and Emma Riba.